– Wesley Strick, screenwriter of Cape Fear. – Billy Chizmar, author of Widow’s Point. – Paul D. Brazill, author of A Case of Noir. With that in mind there will be terrible things contained within, human horrors, abominable words, bad language, bad men, violence, corruption, more love needed amongst mankind in this tale. By any means necessary two characters, in Gibson Alabama, just can’t stand the injustice of it all, and with blood pumping, temperature rising, that old rage and anger within riseth, a pair of men are wanting vengeance for a murdered son on a brain trails explosive ride to take down individuals. There were twenty, then there was nineteen, will there be none? No Nobel Peace Awards handed out this time around, it gets the grit award for terrible tragedies of the human race featured in fiction. 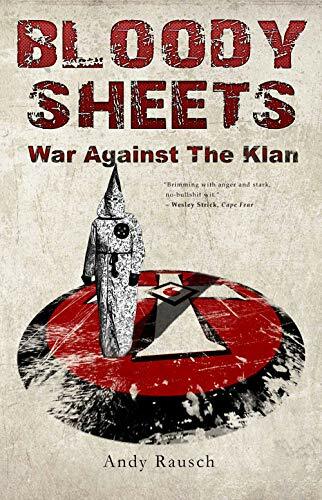 Delivered as many hard-boiled tales that came before it, short sharp shocking prose and dialogue to the meat of the conflict and tragedy with memorable tragic effectiveness.